TIBCO Spot fire is an important program which is utilized for determining business perspicacity. 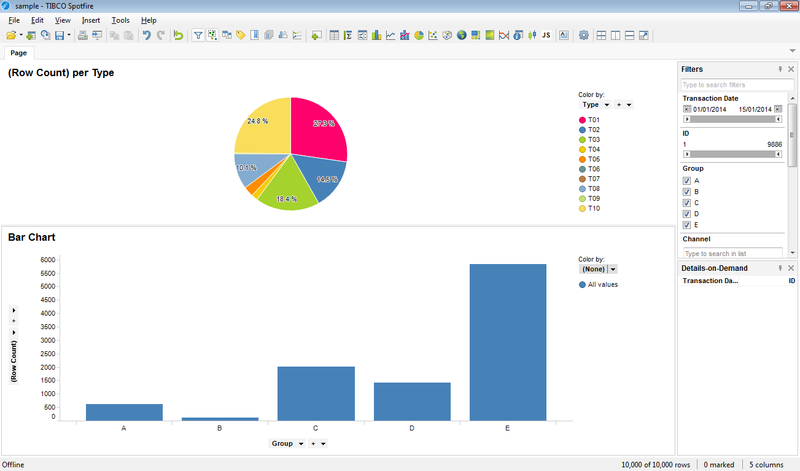 It is an enterprise-class analytics program which has discovery opinions. It possesses an easy dashboard which can be performed easily. It has built-in data changing abilities, which is used for operating objective to provide real-time analytics. TIBCO Spot fire presents the product which is inspired by Artificial Intelligence as well. We have the best methods in TIBCO Spot fire that serves the objective of every enterprise of the business. Developing a Spot fire is absolutely simple and it is easy to work for producing profound using scientific application which is interactive. 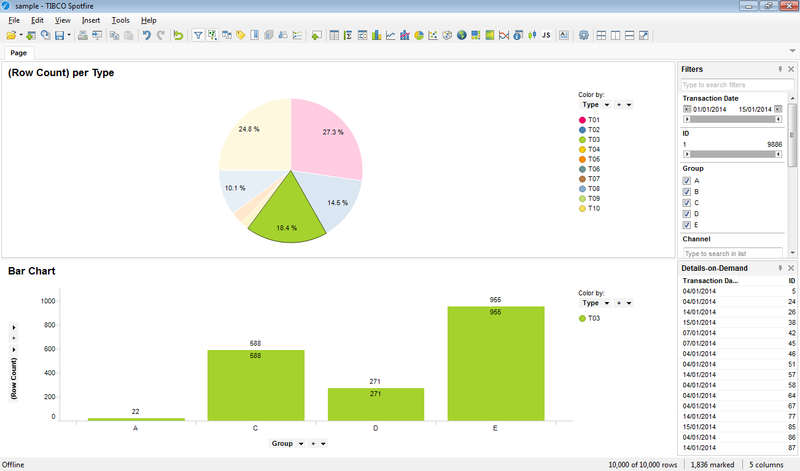 Graphics in TIBCO Spotfire (called as visualizations) are presented as interactive dashboards where the user can easily visualize the inputted data and interact with the visualizations, e.g. displaying a trend in a specific time period. Open files containing the data; supported formats are CSV, TXT, Microsoft Excel files, Microsoft Access Database, SAS Data files, etc. If you connect to a Spotfire server during log in (not Work Offline), depending on your user access level you may be able to access the server’s library items. 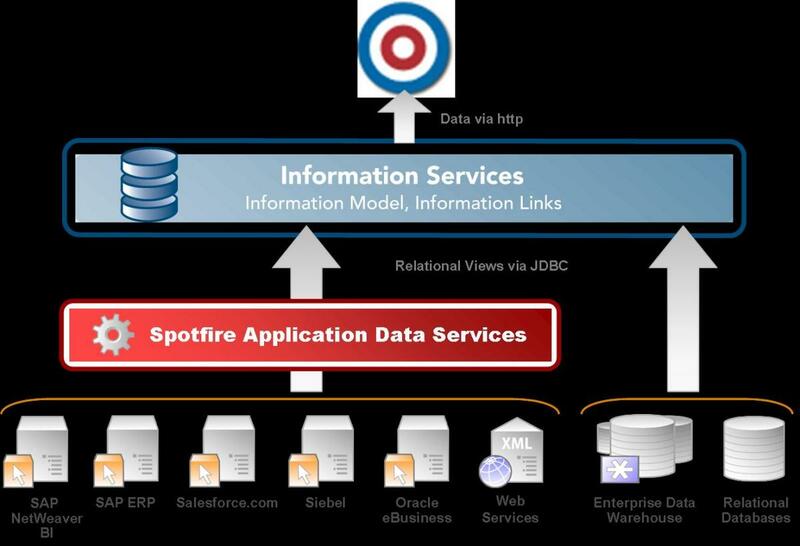 Library can be thought of as a server which contains Spotfire-related items, such as analysis files, data sources, columns, joins, and information links. These items are called library items. Multiple users can access the same library and modify items in the library. This is the main way of collaboration for Spotfire development. To add external, authorized items to Spotfire library, you need to provide Spotfire with the proper credentials for accessing the external items. 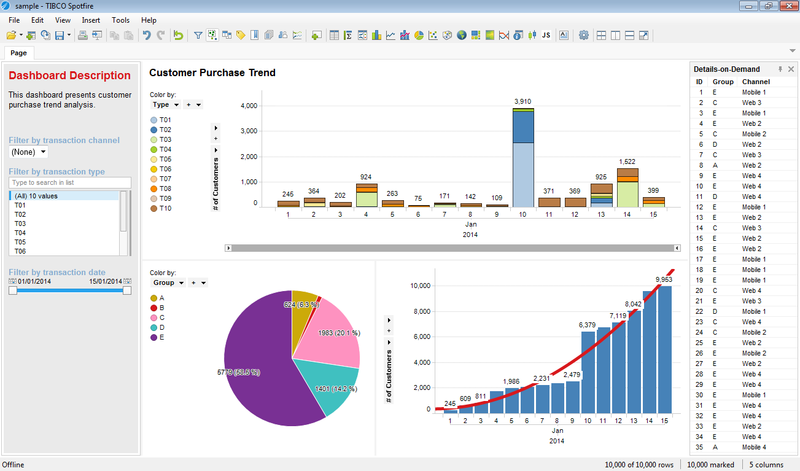 Tibco (TIBX) has enjoyed considerable success as a provider of SOA software. The company’s value proposition centres around the “power of now” – or creating competitive advantage through immediate actions. But TIBX’s recently re-designed BPM solution has fallen well-behind – dropping in analyst rankings, losing market share, and failing to innovate. TIBX’s BPM customers can’t develop case management solutions, automate work, and collaborate with business stakeholders. They become stuck in a limited solution that can’t adapt to their needs. TIBX’s sales efforts are directed to IT departments using their SOA tools. Use a POC to showcase TIBX’s lack of case management, UI and mobile limitations, disconnected predictive and automation, and lack of a DCO equivalent. No case management TIBX has no case manager UI, no dynamic and ad hoc processes, no support for fragments, no automatic aggregation of case data, and no support for federated cases. This severely limits TIBX’s ability to handle cases. No frameworks to speed development Industry intellectual property is living and growing at Pega. TIBX has no frameworks for vertical applications meaning customers must build from scratch, and can’t leverage industry best practices. BPM is not a focus of TIBX TIBX’s focus is SOA and then Business Optimization. BPM accounts for only 11% of revenue and sees relatively little investment and attention. Limited, separate predictive is not for Next-Best Action recommendations TIBX’s limited predictive capabilities require a number of separate products (including TIBX Spotfire Enterprise) which are not integrated with either of its BPM products. Requiring extensive low-level programming, and lacking business-friendly visual design tools, decision strategies, and adaptive analytics TIBX cannot provide Next-Best-Action recommendations. Inadequate requirements gathering tools Its Nimbus tool is only helpful in documenting existing processes and doesn’t integrate with Business Studio, meaning process discovery and development are disconnected. Furthermore, it lacks collaborative development capabilities. Limited collaboration between business and IT AMX BPM lacks a collaborative thin-client IDE and a software supported methodology. It lacks model-driven development with collaborative, business-friendly rules and wizards to directly capture objectives — and feedback on applications. No immediate execution Developers must fill out most of the shapes in a flow before the process will run, hampering a true iterative approach. Mobile limited to iPhone inside Open space portal Mobile UIs run only on iPhone mobile Safari (not even iPad) inside TIBX’s Open space portal. Applications take on the look of Open space’s skin – instead of the customer’s look and feel. Social requires Tibbr, no social customer support Creating a social BPM solution requires integration with Tibbr. AMX BPM can’t be used with other social platforms, such as Facebook or Twitter, for social customer support solutions. No integration with content management systems There’s no pre-built CMIS integration, so integration with content management systems must be coded. No instant deployments with zero-packaging You must package applications in EAR files and restart the application server. 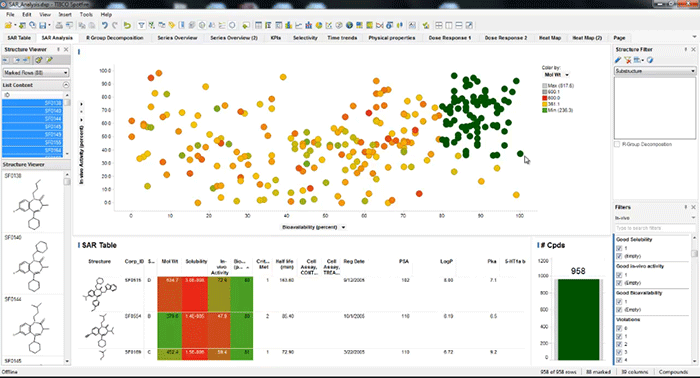 No tools to identify the impact of a change Tibco provides nothing like Pega’s “referencing rules” that allow you to identify which assets may be affected by a specific change. This problem is especially critical with TIBX’s approach as the application is distributed across separate systems and a change in one system can break something in another system. Two competing BPM products: I Process and AMX, which came out in 2010, doesn’t have all the capabilities that I Process did. TIBX is playing catch up for existing I Process customers as well as trying to match the latest trends. Companies may still need I Process too because it has unique capabilities. Invoking business rules as a service limits their usefulness With TIBX, rules in Corticon are so decoupled from the process that they cannot effectively be leveraged to dynamically select flows to execute, show sections of forms to display, route work intelligently, etc. Requires knowing TIBX’s SOA The AMX architecture requires developers to know the entire SOA stack to do anything meaningful with BPM. TIBX’s modelling lacks situations and cases in addition to its native modelling approach, Pega has extensive support for BPMN. Yet TIBX’s BPMN has several deficiencies. Finally, BPMN can be unnecessarily complex for business users. Reuse-by-copy is unmaintainable with no specialization, TIBX’s reuse is done largely by making copies of assets — leading to a proliferation of duplicated assets and code that is more difficult maintain. Making change is slow and error prone. Hard-coded situations are impossible to maintain with a “flat” programming model, TIBX can’t “declare what’s different” by customer type, situation, etc. Each choice must be arduously coded and positioned by hand. Insufficient support for versioning requires a separate and external repository making it impossible to manage across rules, process, integration, and UI together in one system. TIBX lacks strong human-centric capabilities The UI can get overwhelmed and crash when there are too many requests. TIBX can’t handle exceptions within running processes You can’t suspend execution of a process instance and define a new process to immediately execute. You can’t do this for a single process instance, or for a group that meets some requirement. Too complex, difficult and slow to use You develop with a number of separate tools – Business Works, Business Studio, separate rules and analytics tools (Spotfire), and even separate tools for mobile. BPM curriculum is woefully deficient TIBX’s BPM training curriculum does not cover key aspects that is should – including user interface design, restructuring for reuse, invoking business rules, building case management applications, leveraging a methodology, and capturing objectives.